Find competitive quotes on outdoor advertising in Lake Havasu City! 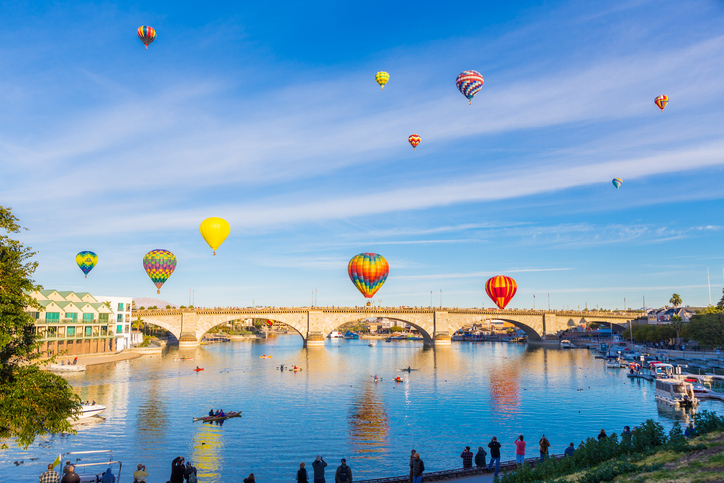 Lake Havasu City, known for the Havasu Balloon Festival & Fair, offers a variety of options for outdoor advertising. Kickoff your campaign near top sites including Havasu Landing Casino, Havasu North Shopping Center and The Shops At Lake Havasu. With these opportunities and more, you’re sure to find the right fit in Lake Havasu City. By sourcing to each seller in the area, BillboardsIn will deliver a personalized selection of out-of-home advertising options to choose from. Select an ad type below to find out more. Or, begin by browsing BillboardsIn’s massive database of out-of-home advertising options.